Is Vaping Bad for You and Are E-Cigarettes Safe? Are e-cigarettes safe? Is vaping bad for you? Is vaping better than smoking? These questions are some of the most asked questions in world when it comes to e-cigarettes and vaping. In this article I will attempt to answer these questions so you can determine once and for all if vaping really is the safer alternative. Before I go any further I have to say that all the evidence and opinions for whether vaping is good or bad is not based on long term scientific research and studies. This is because e-cigarettes simply haven’t been around long enough. The data hasn’t come through yet. There are studies currently being carried out but they still have some years to go before their completion. So, all data and evidence from studies and research so far are from unfinished or short term studies. Now that’s out of the way, let’s get to what we do know about how bad or good vaping is for you. The question should not be; Is vaping bad for your health or Are e cigarettes safe? but rather, Are electronic e-cigarettes safer than regular cigarettes? Because let’s face it, who do you think the people are who will take up vaping? Smokers of course. And if they are making the switch, well that means less who die of cancer. You can’t get a better case than that, right? Some disagree. There is a lot of discombobulation about the topic. There is a lot of debate and misinformation on the subject of electronic cigarettes safety. The misinformation has led to various laws and regulations being passed (without the support of any scientific evidence) in many countries that are aimed at restricting the use and sale of electronic cigarettes. According to the Food and Drug Administration (FDA) website (1) most of these laws and restrictions are based on speculation without any scientific evidence. One such move is the recent report by The World Health Organization (WHO) that recommends governments to ban the use of electronic cigarettes. The release of the report was quickly followed by warning to the WHO in an open letter sent to WHO Director General Margaret Chan. This was sent by a group of fifty three leading medical experts from North America, Australia, Europe, and Asia. They argue that low risk products like electronic cigarettes are part of the solution in the fight against tobacco cigarette smoking, not part of the problem. Why are E-Cigarettes a Safe Alternative? Electronic cigarettes still deliver nicotine, but none of the other thousands of harmful chemicals that are found in tobacco cigarettes. According to the FDA (2), (3), both propylene glycol and vegetable glycerin are considered to be safe food additives by the FDA. 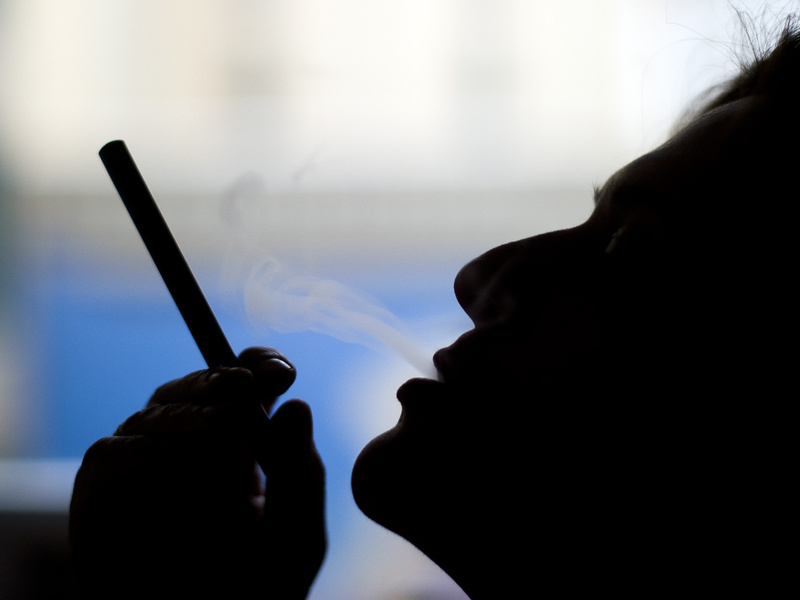 Although nicotine is addictive, it hasn’t been demonstrated to be harmful on its own. According to scientific research done by scientists the nicotine in tobacco cigarettes is responsible for keeping a cigarette smoker hooked and the toxic effects of smoking come mainly from the other substances in tobacco, none of which are present in any meaningful level in electronic cigarettes. Nicotine in itself isn’t a killer, but it is guilty by association with the traditional tobacco cigarettes. Addiction is not a good thing, but for the sake of the people, who are already addicted, we should promote electronic cigarettes as a safer alternative. A smear campaign has also been run against propylene glycol (one of the additives that are used to produce e-liquids), but according to the Agency for Toxic Substances and Disease Registry, propylene glycol is a “generally recognized as safe” (GRAS) additive for medications and foods. It doesn’t cause sensitization and shows no evidence of being genotoxic or being a carcinogen. Some of the people who are against electronic cigarettes have tried to arouse worry over the use of propylene glycol in electronic cigarettes by dwelling on the fact that it’s used in antifreeze. However, the truth is that it’s used as non-toxic antifreeze and is normally confused with diethylene glycol which is considered toxic in larger concentrations. No short term and long term adverse effects have ever been recorded to occur as a result of the use of propylene glycol in electronic cigarettes. The use of vegetable glycerin in e-liquids has increased mainly because it produces more vapor than propylene glycol. Vegetable glycerin is used in the production of many beverages and foods and is safe for human consumption. Food grade vegetable glycerin is used in the manufacturing of e-liquids. The flavorings that are used in electronic cigarette e-liquids are also food grade additives that are safe for human consumption. Some of the tobacco flavors are produced using real tobacco leaves, so there is the potential them having trace amounts of nitrosamines, but again only trace amounts. The only informed conclusion that can be arrived at after analyzing the above information is that electronic cigarettes are relatively safe. However, as mentioned earlier, there have simply been no long term scientific studies done of the effects of prolonged vaping. However, we know that the ingredients that are used to produce e-liquids are safe for human consumption. No negative health impacts of the use of electronic cigarettes have been reported, even though they have been used by millions of people for several years now. Of course the ultimate decision is still to be determined, however it is already proven e-cigarettes are magnitudes safer than regular tobacco cigarettes. So next time someone asks are e-cigarettes safe, or is vaping bad for you? Tell them; that is the wrong question, the right question to ask is; Are e-cigarettes safer than regular cigarettes? Because that is what the data relates to, and that question can be answered with a resounding yes. Copyright 2019 | Vapor Cigarettes NZ Ltd. All Rights Reserved.